I advise proffessional fitting of this product and you should only use this faq as a guide. I shall not be held responsible for any damage you incur during fitting of this kit. The instruction manual is pretty straight forward, but some may need further guidance. So here goes.. Disconnect the battery! The first thing you need to do is set the GAUGE output for narrowband use, this is P4 on the switch at the back. 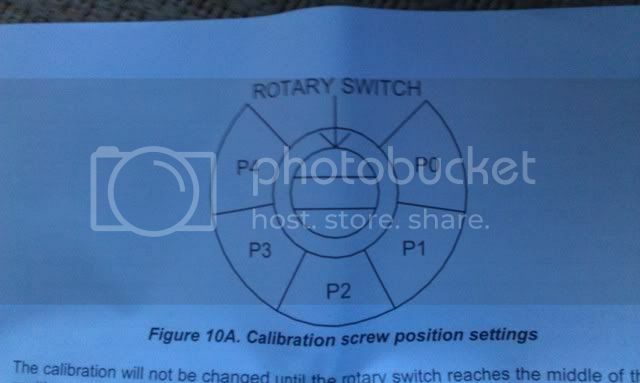 You will need a thin flat head screw driver to do this Just twist it clockwise to P4. You will know you have set it right when the unit powers up with a flashing led of P04 before operation. Time to wire up. There are two wire harnesses that plug into the back of the gauge.The 4pin one is the power/output harness. 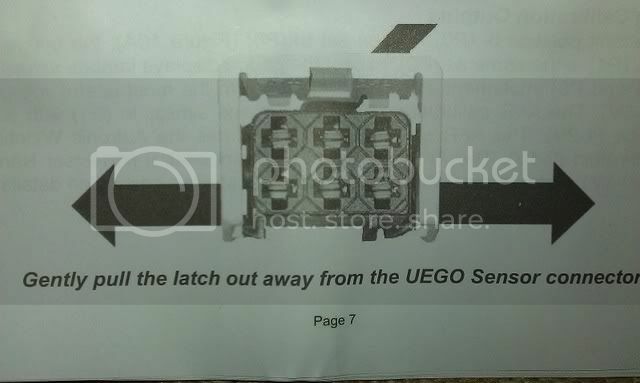 The other harness connects straight to the short lambda harness on the actual sensor.. more of that later. The blue wire of the harness is only used for serial datalogging via laptop etc, so tape this out the way on installation of gauge. For power you need a 12V supply (RED wire), the best source being the 12v at the back of the cigarette lighter easily accessed by unclipping the lower fascia. Dependant of location of gauge you may need to extend the wire. 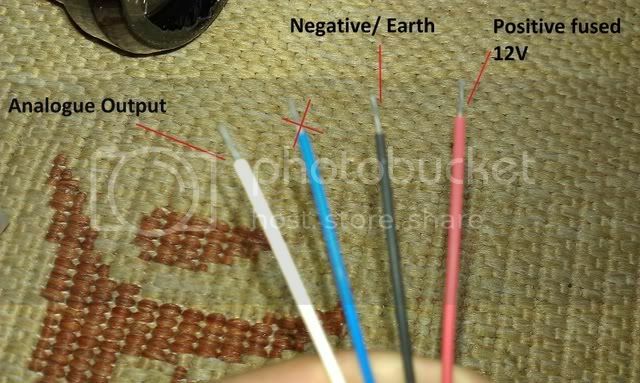 The BLACK wire is ofcourse negative(earth) and this can be placed in any of the clean earthing points in the interior(be sure to be placed on unpainted metal surface of the car), or connected to the earth of the OE lambda harness. 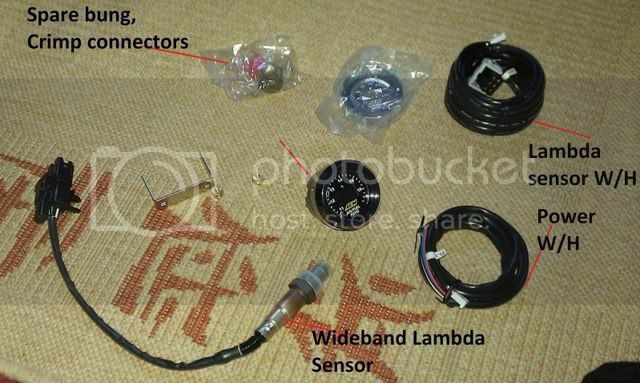 Which on the engine wire harness iirc is a yellow/green wire on the multiplug of the lambda sensor. The WHITE wire is for analogue output, this connects to the engine wire harness and should give a narrowband output like the OE lambda (now that you have set the gauge to P4). Cut the solid GREEN wire from the multiplug and solder/connect the WHITE wire from the gauge. 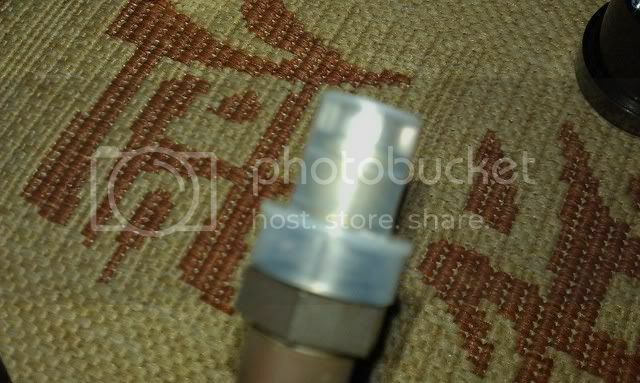 Once you are happy with your joining, connect up the 4pin plug to the back of the gauge. and find a suitable place to locate and fit you gauge, gauge holders or a pillar mounts are the most common. 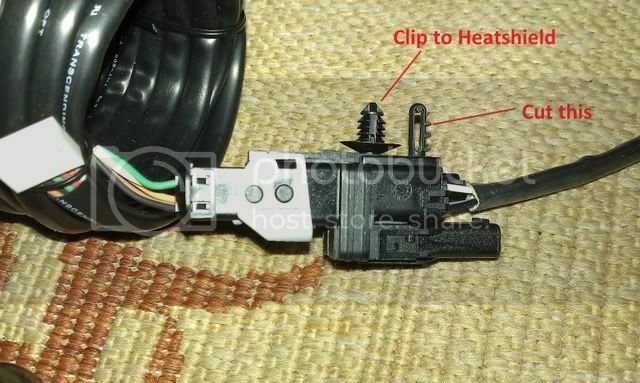 Next you need feed the main wideband lambda harness through the bulkhead, this can be taken through a grommit behind the heater unit by temporarily prising off the grey locking clip of the connector. Once everything is connected on the back of the gauge and it is installed in a suitable location you can jack the car up and remove your OE lambda. The wideband lambda is the same thread spec as the oe so remove and replace with the wideband one. Make sure your lambda sensor is fitted tight and all your wiring is tucked away with cable ties etc. You can then reconnect your battery... turn the ignition on... notice the gauge shows p04 and does a full range before settling on - -. Start the car and let it idle, once the lambda is in operating tempartures it should show a steady 13-15 afr indicating stoich mix. Enjoy your new gauge and keep an eye on it at cruise and Wide Open Throttle.. 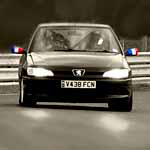 This will show you early signs of engine failure and may be able to rectify a simple fuelling issue before devastation. 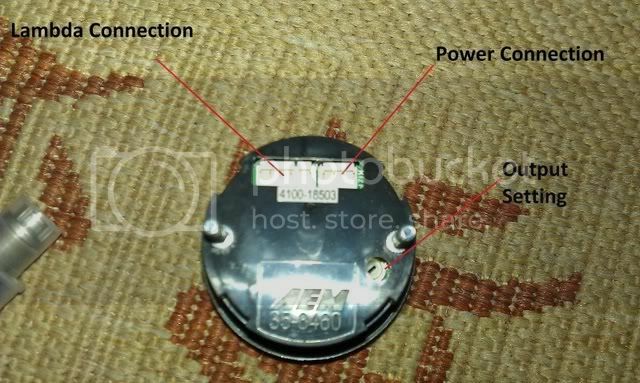 There is a possibility that the ECU might flag a temp fault with just an analogue input so it is advised to tie up your standard lambda to the back of the battery box still connected to the multiplug. You can offer a resistor to the positive and the heater wire, this value of resistor is best tested by yourselves. Thought I would add this to the bottom that the car seems to run better on the P03 setting as oppose to the P04.